iPad is a great companion device for Mac users as thanks to the wide range of apps available for the iOS platform you can use the iPad to help you in whatever task you are doing on your computer. While iOS is great when used along side OS X, an iPad would become much more useful if you can utilize its screen to be used as a second display for the Mac. That is exactly what the new Duet Display app for iOS and OS X does. With this app you can extend your Macbook or iMac’s display, converting your iPad as well as iPhone into a second screen. After downloading the app on Mac and on your iOS device all you have to do is plug it into your computer using the standard USB cable. 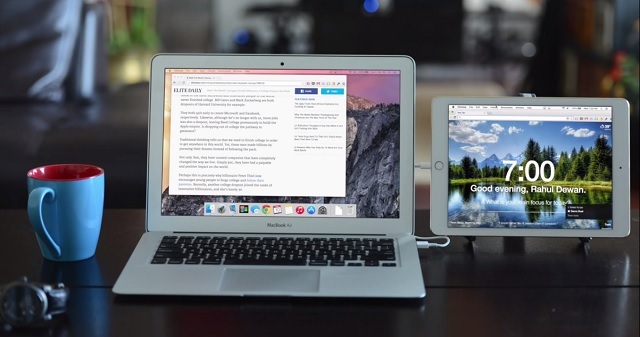 The app lets you use iPad or iPhone as a secondary display making the device act like a normal second monitor. You can drag and drop your windows on your iPad, resize them and perform any function you like. Not only is the Duet Display app super useful but it is also great when it comes performance. It is capable of delivering video to your device at 60 frames per second and take full advantage of its Retina Display. All that without a visible lag. Unlike the Mac, iPad has a touchscreen and Duet Display lets you use it with OS X. You can touch the screen to perform a number of operations such as clicks, and interact with OS X like never before. The possibilities of having a second display are limitless. You can use your iPad to watch videos while doing something else on your Mac, access Twitter, use timer apps, to do lists to keep yourself on track and more. It could really help in boosting your productivity. 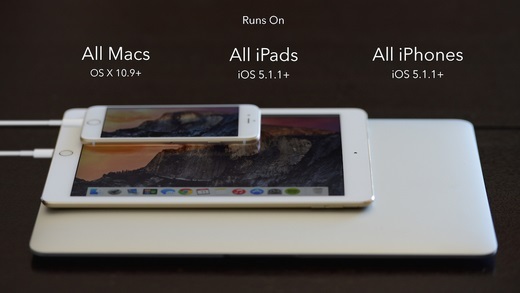 Duet Display app is compatible with most iOS and OS X devices out there. If your Mac is running OS X 10.9 or above and iPhone or iPad is running iOS 6 or above then you are good to go. It works with both lightning and 30-pin connector cables so it does not matter if you have a relatively older iOS device. You can download the Mac version of Duet Display app here. iOS version is available on the App Store for $9.99 at the link below.